Those of us who are over sixty are not amused at being compared to aging wine, and certainly not cheese. In this book thirty of us—writers, educators, businesswomen, motivational speakers, mothers, grandmothers, retirees, an artist, a hairdresser, a psychic, a farmer, a psychologist, and a dancer—each share a story about something that changed everything. 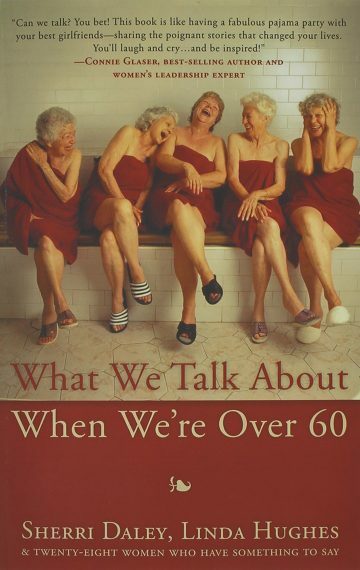 We think that you—especially if you’re a woman over sixty—will laugh and cry and maybe gasp at these funny, enlightening, and bawdy tales because they’ll remind you of your own life. So read, enjoy, and reminisce. Then, we invite you to join us on Facebook to share what you like to talk about. Let’s do this over-sixty thing together.